Writer's Thoughts: Huskies Still Number Five! My beloved University of Washington Huskies had a bye this week, so there's no game to talk about. So what else happened in the Pac-12 and the Top 25? In the Pac-12, The WSU Cougars beat UCLA in a soggy game in Pulman. The final score was 27 - 21. That gives the Cougars the same conference record as the Huskies (3-0) but their overall record is 4-2 whereas the Huskies are 6-0. That also puts WSU solidly in second place in the Pac-12 North after the first-place Huskies. The Nike Ducks (last place in the Pac-12 North) didn't lose yesterday. They, too, had a bye. The Pac-12 South Division is wide open. The Utah Utes are still on top with a 6-1 record (3-1 in conference). But the Colorado Buffaloes (!) are in second place with a 3-1 conference record and a 5-2 overall record. Utah beat Oregon State yesterday. Colorado beat Arizona State. The Pac-12 championship game might be Washington vs. Utah. A preview of that game will be on October 29th when Washington plays at Utah. Unfortunately, I will miss that game due to a previous commitment. I might DVR it and try to avoid learning the score but I won't be able to watch it until Sunday. In the top five teams in the top 25 (Washington is #5), Michigan (#4) also had a bye. But Clemson (#3) had to go into overtime to beat unranked North Carolina State. That dropped them to #4 and moved Michigan to #3. Washington stayed at #5 (unfortunately). And #2 Ohio State had to go into overtime to beat #8 Wisconsin. But they are still #2. And Alabama is, of course, still #1. 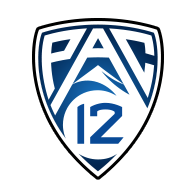 The only other Pac-12 team in the top 25 is Utah which moved up to #19 from #21. This was Week 8 of college football. So we are half-way through the season. Should be exciting to see what happens in the second half. Go Dawgs!